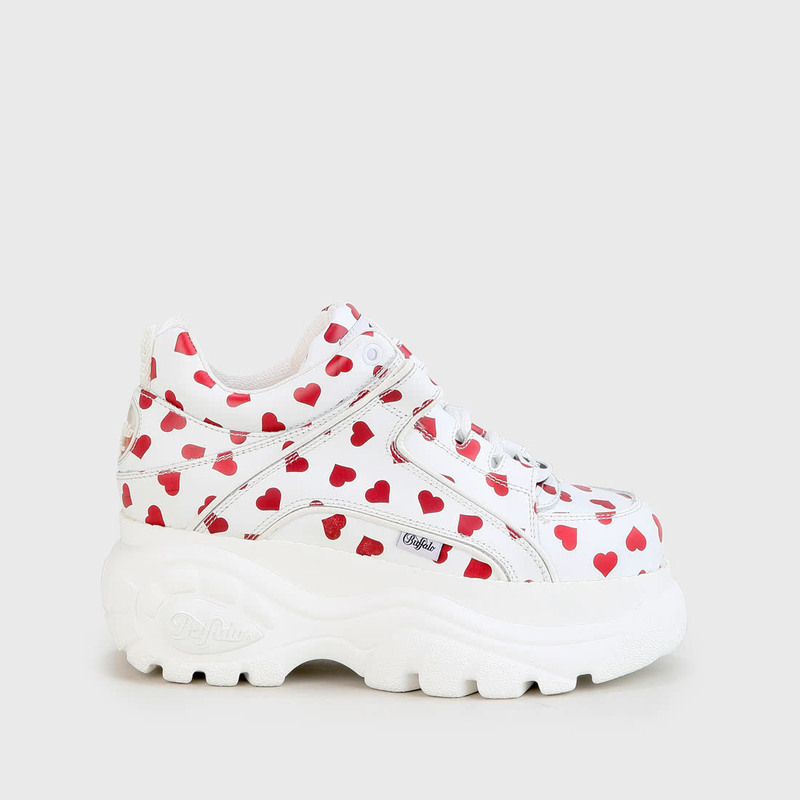 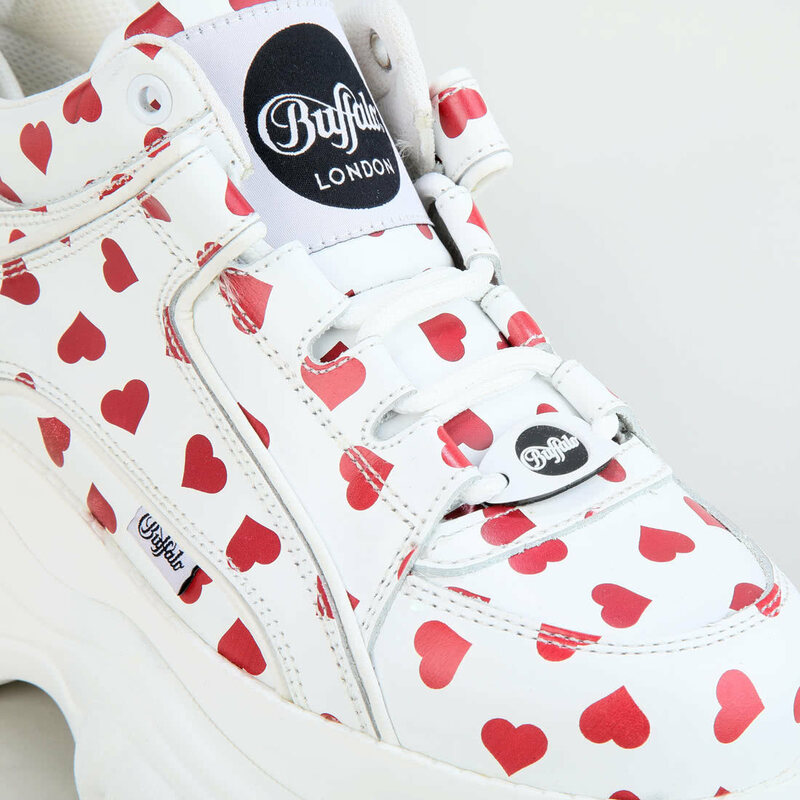 The Classic Kick "white/red hearts"by Buffalo London is something you will immediately fall in love with. 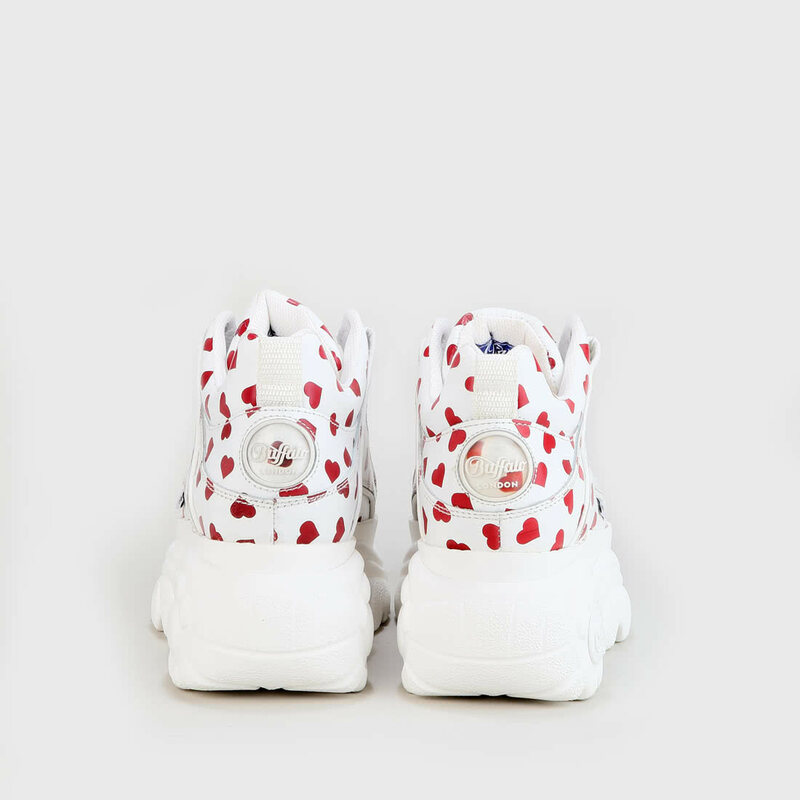 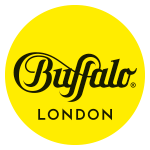 The sneaker version of the renowned Buffalo Classics is made of high-quality nappa leather and comes with a cheerful heart-shaped pattern. 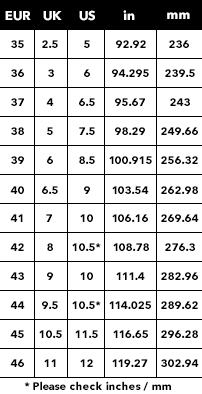 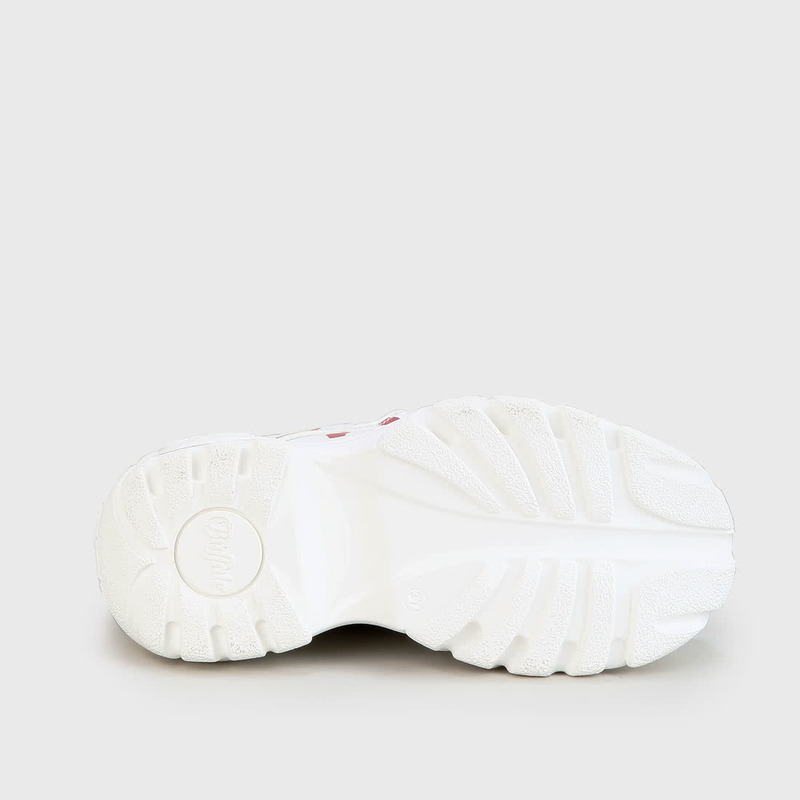 The wide platform sole rounds off the design and ensures an easy walking sensation.